The South Korean company GM Corporation Ltd. (GMC) appeared on the market in 1996, its main focus is the production of computer cases of small size. Cases produced by GMC have good value and performance ratio – we did not miss the chance to get to know them better. 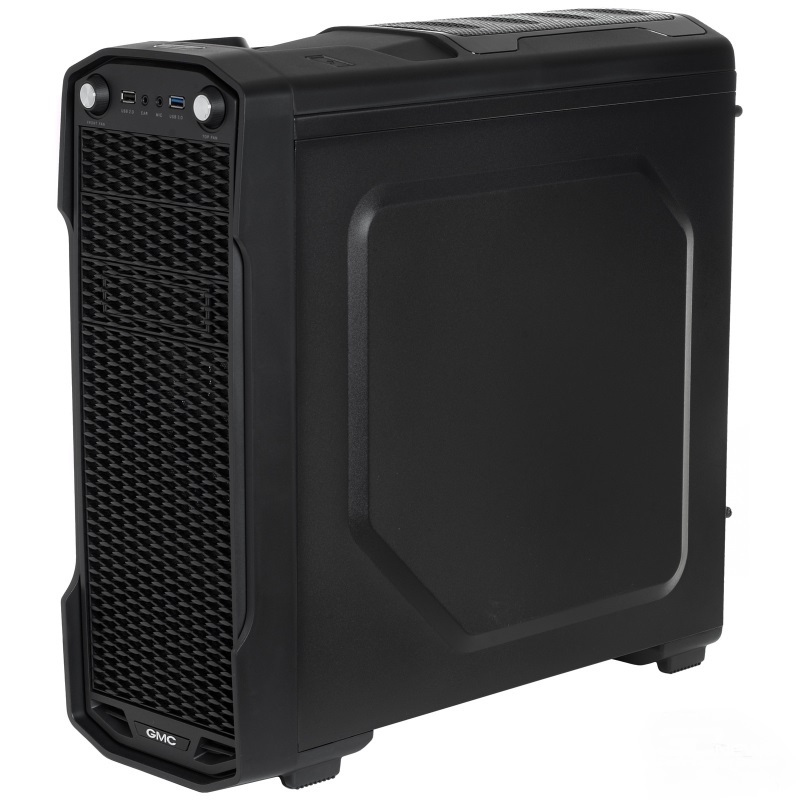 Case GMC T360 is an inexpensive and quite functional product designed to build gaming PC. It fits thrifty users, because the cost of case is only about $60. 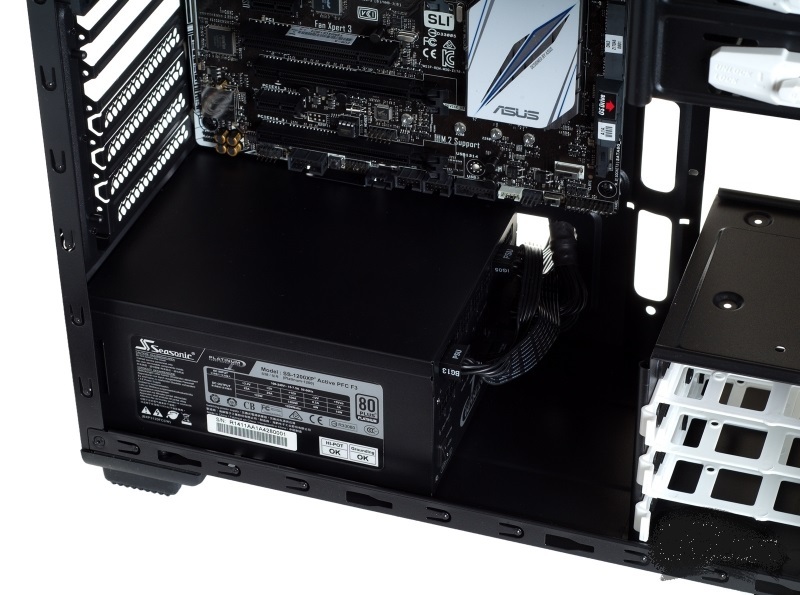 At the same time we get case of Midi Tower format for the motherboard of ATX form factor with the ability to set the graphics card and power supply of unlimited length, supporting the three 5.25″ devices and three hard disks (secure of the latter due to slide with anti-vibration isolation). Also, importantly, GMC T360 is already out of the box equipped with five (!) high-grade 120-mm fans, equipped with a dual-channel controller, fans and even endowed with increased power, the USB port for charging/powering various devices. GMC T360 is available on the market only in one color – completely black. The case is made in the Midi Tower form-factor (“middle tower”). Case weight is about 5 kg. Manufacturer has specified a body width of 180 mm, but this is without arching on the side panels. With them, the width increases up to about 200 mm, which gives extra space for CPU cooler and the space behind the motherboard tray. The internal layout of GMC T360 is little different from the typical “tower” with a lower arrangement of the power supply. Like the exterior, the inner case color is all black. White sled for drives, locking mechanisms for 5.25-inch devices, and fan impellers creates an attractive contrast scheme. Hidden system of wires laying includes eleven (!) holes, including one hole for wire of processor power in the upper part. However, it is unlikely to stick the wire with an installed motherboard. 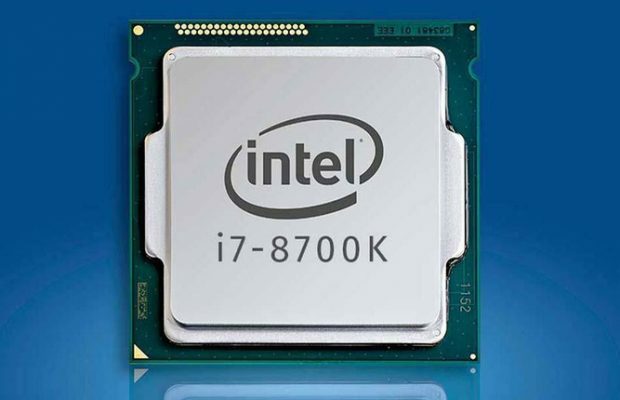 There is a cutout for the access to the fastening crosspiece of CPU cooler, but it is slightly offset to the rear, and it is unknown how this will affect the compatibility with various motherboards. The motherboard is mounted without the use of standard racks (although they are in set for some reason included). We have repeatedly seen a similar design in other cases: the pallet is endowed with stamped elements – these are the racks. Quite convenient, as it takes less time to install the card and do not need the hex adapter. 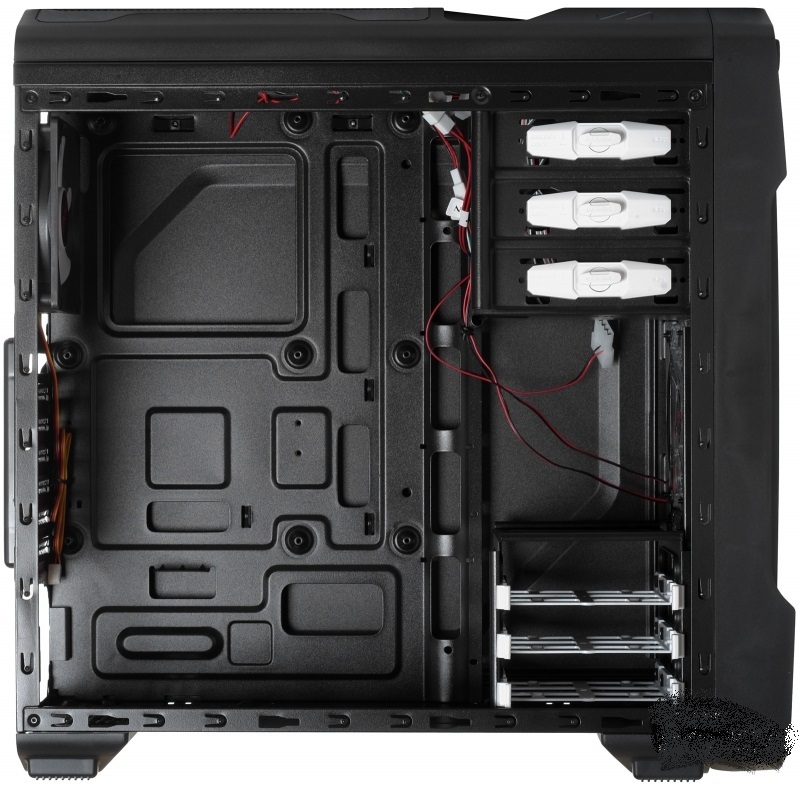 In the GMC T360 can be installed ATX, Micro-ATX and Mini-ITX motherboards. The maximum length of the graphics card, which fits into GMC T360, is 410 mm – so it turned out the distance measured from the back to the front of the fan. In the lower PCI-E-slot, it is reduced to a maximum length of 290 mm, due to non-removable baskets for HDD. 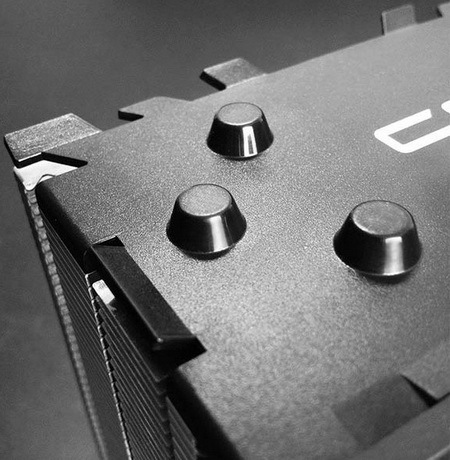 Maximum CPU cooler height, according to the manufacturer, is 150 mm, it is stated on its website. But in fact, it’s even a little more – 157 mm. 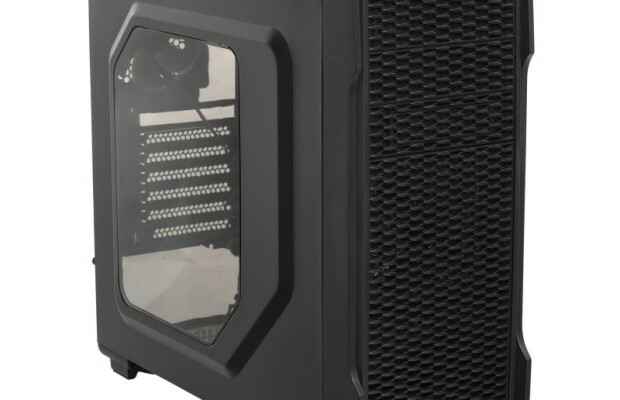 Although the testing involved Noctua NH-L12, the system has been tested with cooler Prolimatech Lynx (tower design) with height of 160 mm to – it fit loosely.